Located 46 miles off the coast of Belize, the Blue Hole is known around the world for its crystal-clear water and its abundance of sharks and sea life. 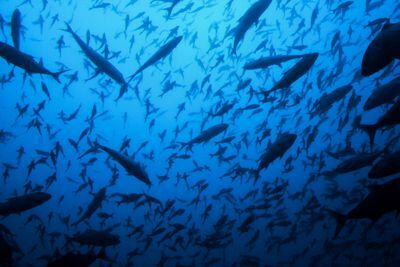 But this remote spot has only ever been fully explored once – back in 1971 by legendary ocean expert Jacques Cousteau himself. But what mysteries lie at the greatest depth of this ancient sink hole that is millions of years old? Discovery announced today it will take viewers to the bottom of the Blue Hole and document its findings in an all-new, 2-hour special called Discovery LIVE: Into The Blue Hole premiering Sunday, December 2 at 4-6 PM Eastern/1-3 PM Pacific on Discovery. The special will also air globally. “Venturing into the unknown as well as exploring the world with new technology in the name of science and entertainment has always been at the core of Discovery’s DNA. We’re thrilled to be bringing such a major expedition to Discovery,” said Scott Lewers, EVP Multiplatform Programming and Digital Media. The Blue Hole has never been mapped or even plotted – and while many speculate what is at the bottom – the exact answer remains unknown. To find out, Discovery has tapped a team of the world’s leading explorers who will venture down to its bottom in a fully-manned submersible. The on-board exploration team will include businessman/philanthropist Sir Richard Branson; explorer Fabien Cousteau, grandson of Jacques Cousteau; and Erika Bergman, the submersible’s pilot. The mission will be the very first time since 1971 that anyone has attempted such a feat. 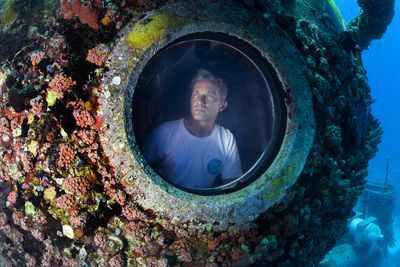 Discovery will pick up from where Cousteau left off – exploring the Blue Hole in real time and attempting to shed light on its many mysteries. 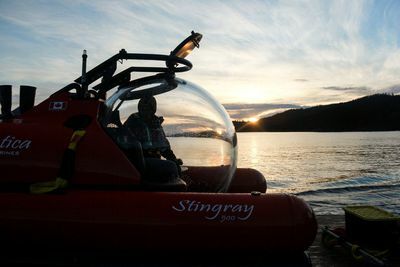 The team will also have access to a fully equipped second submersible with additional lighting that will allow them – as well as viewers – to see as much as possible. 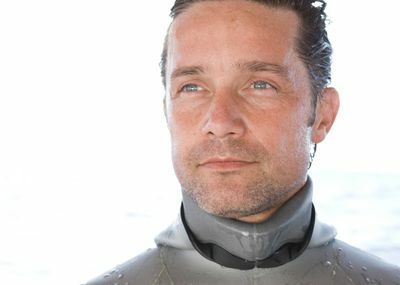 The 2-hour special will also explore a variety of sea-related topics such as how the Blue Hole was created, how technology has evolved since Cousteau’s first mission, and will delve into the many legends surrounding this unique spot, which has attracted diving enthusiasts from around the globe. The broadcast, hosted by marine biologist Luke Tipple (featured on Discovery’s Shark Week) and presenter Chris Jacobs (host of TLC’s "Long Lost Family” and Velocity’s “Overhaulin'”), will document the team’s descent into the Blue Hole; however, that is not the only mission. 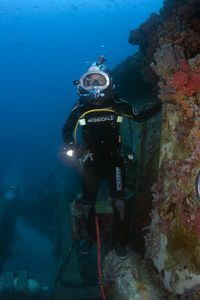 Vessels will continue exploring the Blue Hole for 2 weeks after the dive and track the site. The data collected will help construct real-life models of the Blue Hole’s geographical features to help researchers and scientists from around the world understand how changing sea levels affected its formation and to provide key information about climate change patterns. Join the conversation on social media using the hashtag #DiscoveryLIVE and like Discovery on Facebook for updates. Discovery LIVE: Into The Blue Hole is produced for Discovery Channel by INE, Impossible Works and Discovery Studios. For INE, Mark Koops and Sarah Davies are executive producers. For Impossible Works TC Conway is the Executive Producer. For Discovery Studios, Sandy Jarrell and Gregg Moscott are executive producers. For Discovery Channel, Scott Lewers and Christina Bavetta are executive producers and Lian DesMarais is Supervising Producer.